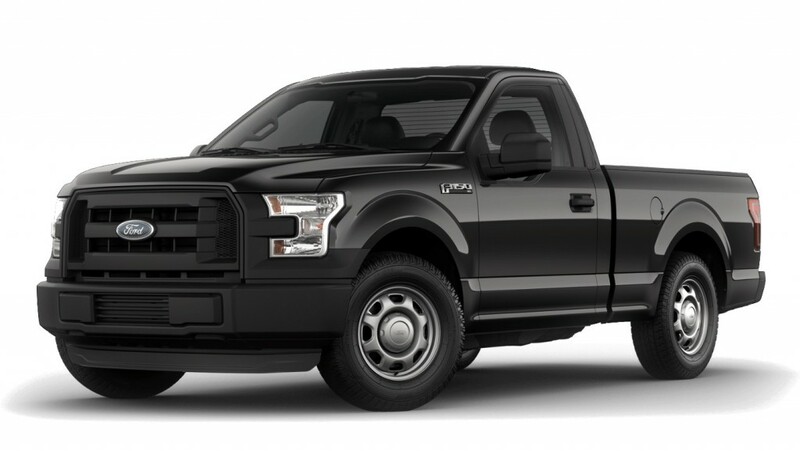 Fresh from a 2015 redesign, the 2016 Ford F-150 remains one of the most revolutionary trucks on the planet, providing much more for Palm Coast and Port Orange drivers than the 2016 Toyota Tundra. With its innovative aluminum structure, a range of powertrain options, and outstanding technology features, no other truck comes close to the new F-150. XL: Starting at $26,615, the XL stands on 17-inch steel wheels, and includes a 4.2-inch display, air conditioning, and a four-speaker sound system. XLT: Starting at $31,615, the XLT adds a leather-wrapped steering wheel, power-adjustable pedals, a rearview camera, and an eight-way power seat for the driver. Lariat: Starting at $39,660, the Lariat model offers dual-zone automatic climate controls, leather seating, driver seat memory settings, and ventilated front seats. 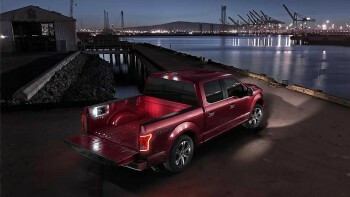 King Ranch: Starting at $49,645, the King Ranch provides drivers with quad beam LED headlamps and LED taillamps. The SuperCrew configuration comes with a fully flat load floor behind the front seats. Platinum: Starting at $52,110, the Platinum is easy to load and unload after dark thanks to its innovative LED box lighting setup, plus its remote tailgate release system. Limited: Starting at $58,480, your Limited trim is the most luxurious F-150 ever, including a class-exclusive, multicontour massaging system and heated rear seats. 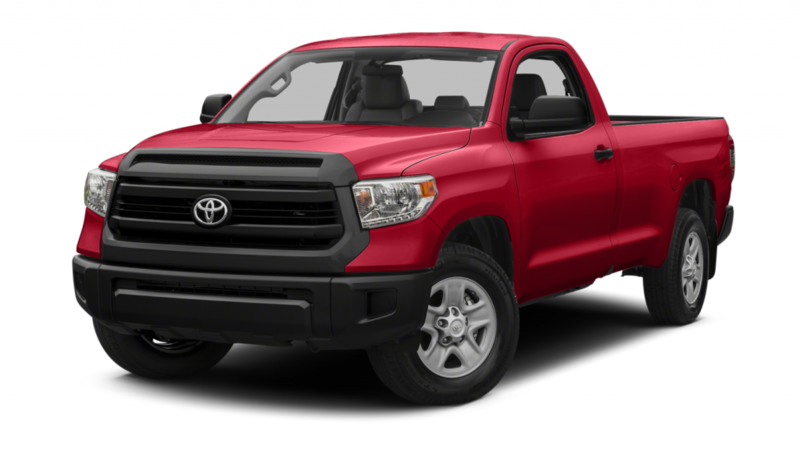 The 2016 Toyota Tundra also comes with six trim levels, but never matches the F-150 in terms of technology. It also starts at a higher price with the base model demanding at least $29,450, and it offers features such as heated mirrors and a damped tailgate. The upper level TRD Pro starts at $42,445, and comes with off-road tires, 18-inch wheels, and trail-tuned shock absorbers. The 2016 Ford F-150 offers double the choice range of the 2016 Toyota Tundra when it comes to power, with four engines available compared to the Tundra’s two. 3.5L Ti-VCT V6: The F-150’s standard engine produces up to 282 hp and 253 lb-ft of torque, while making up to 18 mpg in the city and 25 mpg on the highway with FWD or 17 mpg city and 23 mpg highway with AWD. 2.7L EcoBoost V6: Generates up to 325 hp and 375 lb-ft of torque. It achieves up to 19 mpg in the city and 26 mpg on the highway with FWD or 18 mpg city and 23 mpg highway with AWD. 3.5L EcoBoost V6: Puts drivers in command of up to 365 hp and 420 lb-ft of torque, and this engine returns 17 mpg in the city and 24 mpg on the highway with FWD or 16 mpg city and 22 mpg highway with AWD. 5.0L Ti-VCT V8: For a colossal output of up to 385 hp and 387 lb-ft of torque, this motor can make up to 15 mpg in the city and 22 mpg on the highway with FWD or 15 mpg city and 21 mpg highway with AWD. 4.6L V8: Generates 310 hp and 327 lb-ft of torque, but makes a disappointing 15 mpg in the city and 19 mpg on the highway FWD or 14 mpg city and 18 mpg highway with AWD. 5.7L V8: Makes up to 381 hp and 401 lb-ft of torque, but makes only 13 mpg in the city and 18 mpg on the highway with FWD or 13 mpg city and 17 mpg highway with AWD. 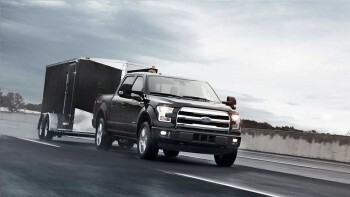 Maximum Towing: A best-in-class 12,200 pounds in the F-150 vs. just 10,500 pounds with the Tundra. Maximum Payload: A best-in-class 3,270 pounds in the F-150 vs. just 1,555 pounds in the Tundra. 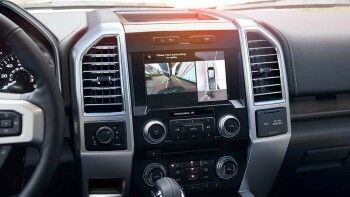 Class-Exclusive Pro Trailer Backup Assist: Just turn a knob left or right to indicate where you want a trailer to go, then the rearview camera will then alert you to obstacles. Class-Exclusive BoxLink: Featuring structurally reinforced box sides, four interface plates for aftermarket accessories, and four lockable, removable cleats for securing loads in the cargo bed. Class-Exclusive SYNC 3: Features state-of-the-art voice-recognition technology for effortless control over your driving environment. Unlike the 2016 Toyota Tundra, the 2016 Ford F-150 is constructed with a fully boxed frame made of up to 78 percent high-strength steel, and it even includes 31 safety-related innovations. 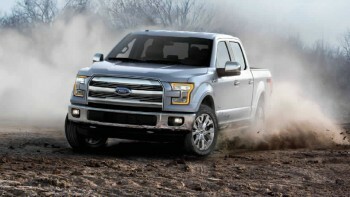 It’s no wonder that the F-150 scored a 5-star safety rating from the NHTSA, while the Tundra only garnered 4 stars. It’s clear that 2016 Ford F-150 best the 2016 Toyota Tundra, so come down to the Are man she towards today to see it up-close.